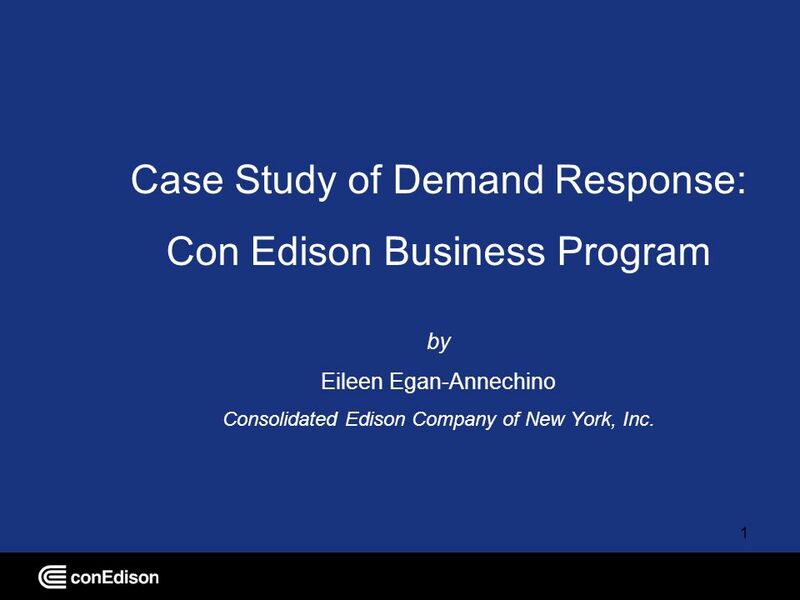 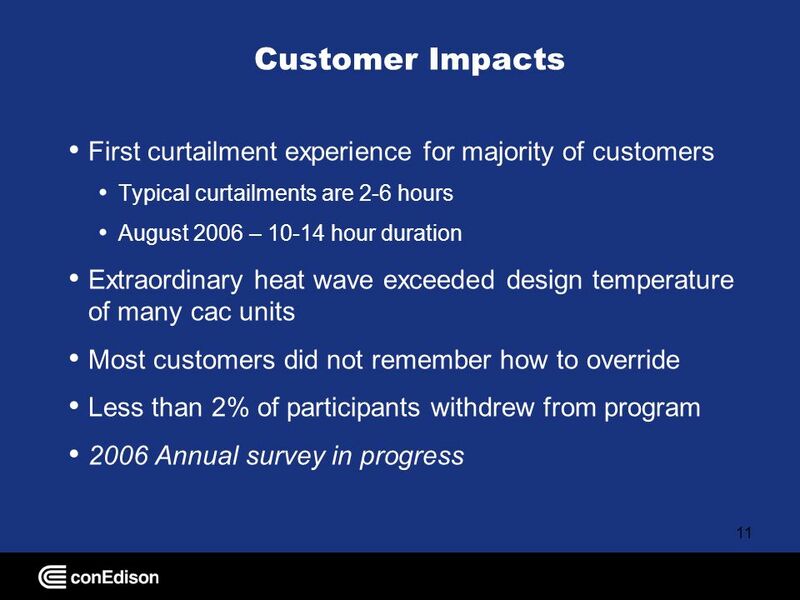 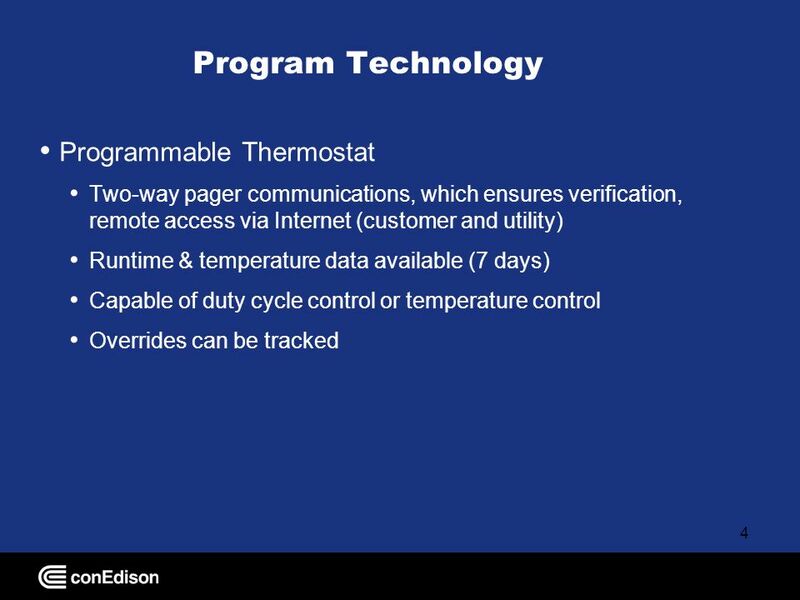 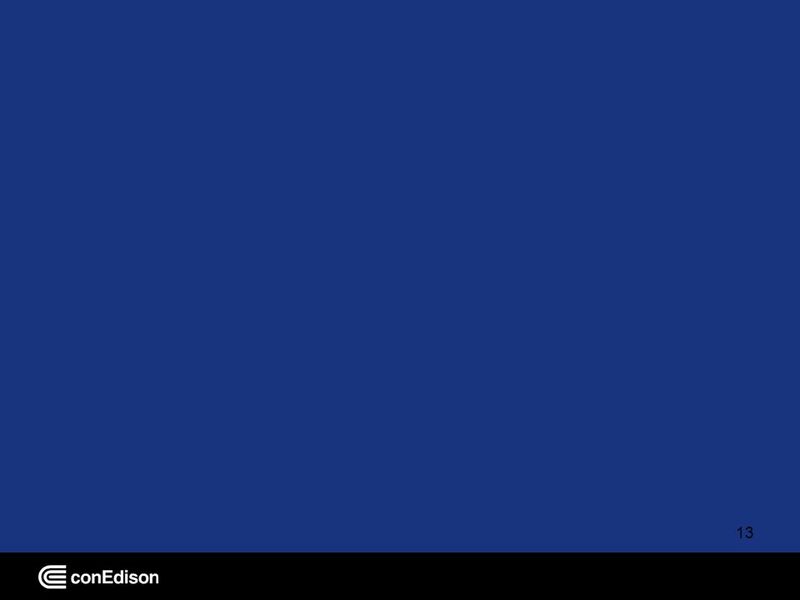 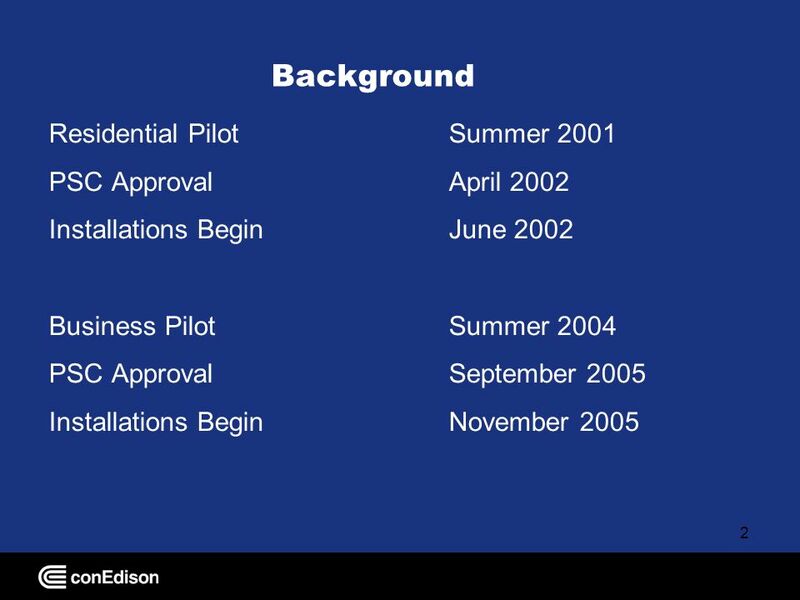 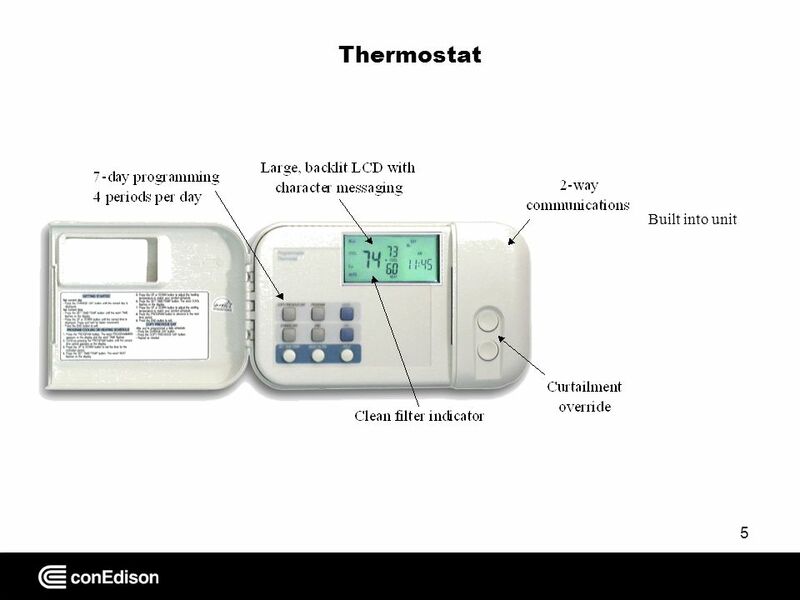 1 1 Case Study of Demand Response: Con Edison Business Program by Eileen Egan-Annechino Consolidated Edison Company of New York, Inc.
Download ppt "1 Case Study of Demand Response: Con Edison Business Program by Eileen Egan-Annechino Consolidated Edison Company of New York, Inc."
In the Post 06 Environment November 9, 2006 Jim Eber Demand Response. 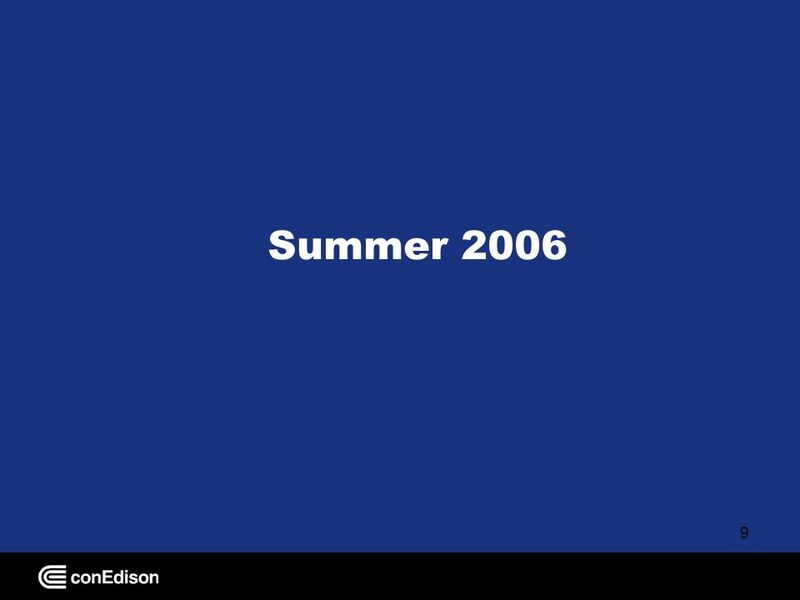 © 2005, Itron Inc. 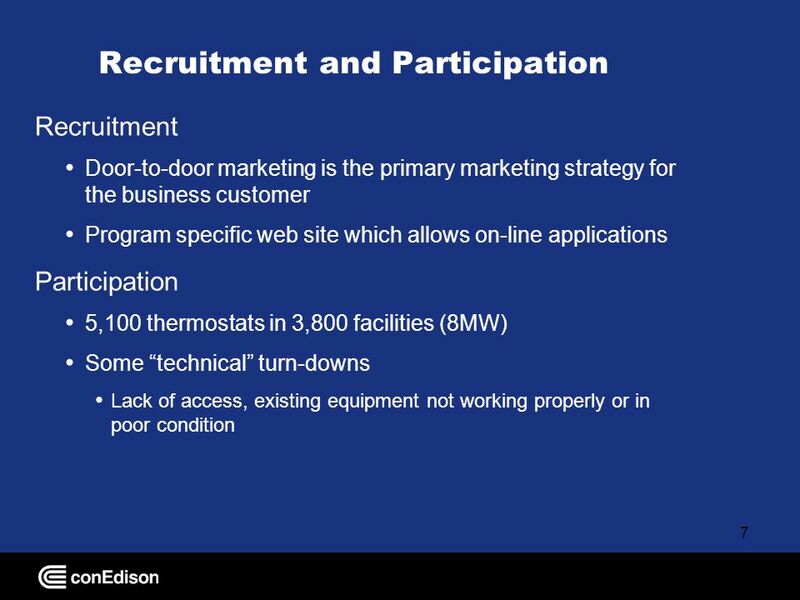 Residential Market Share Tracking Study Rachel Harcharik Itron, Inc Richard Pulliam, Project Manager Southern California Edison. 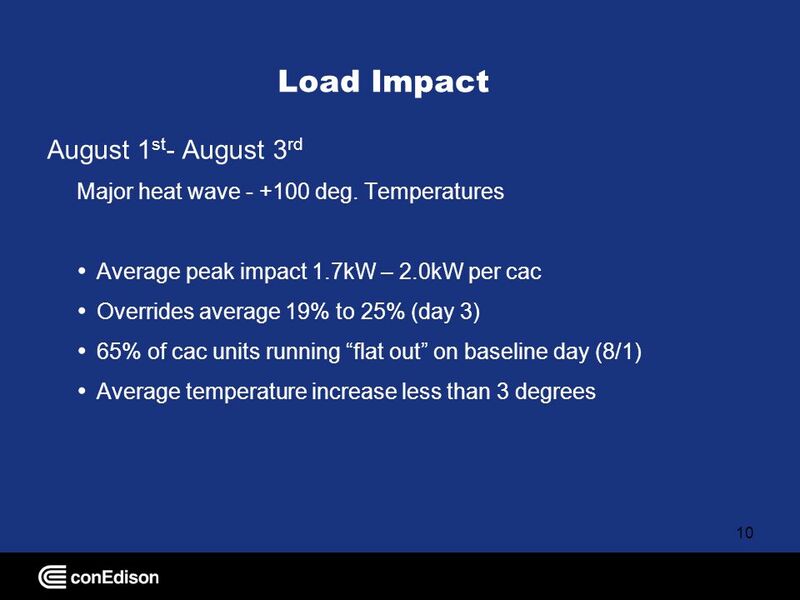 Demand Response May 9, United States 40 Million People 8 States Canada 10 Million People 7 Provinces Cost $6.0 to 10.0 Billion. 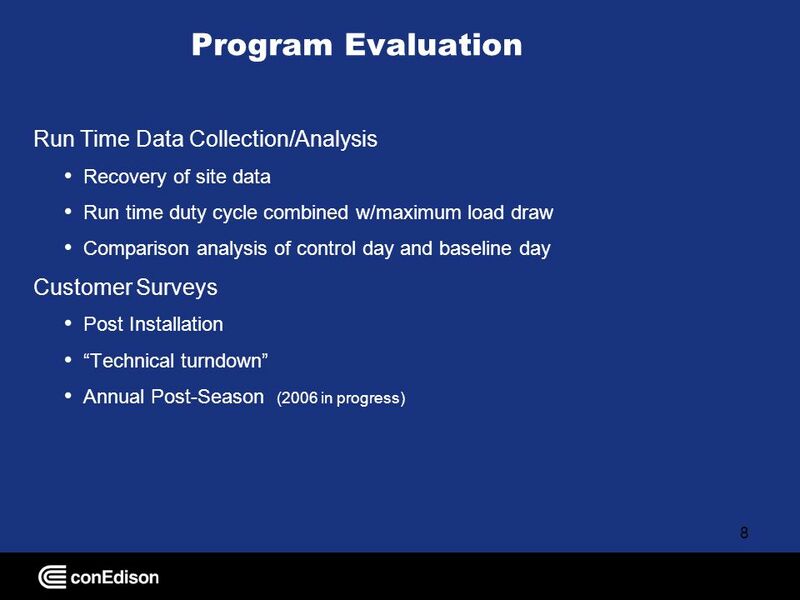 PG&E Automated Demand Response Program Webinar 2008 Program Summary and Participant Forum October 14, 2008. 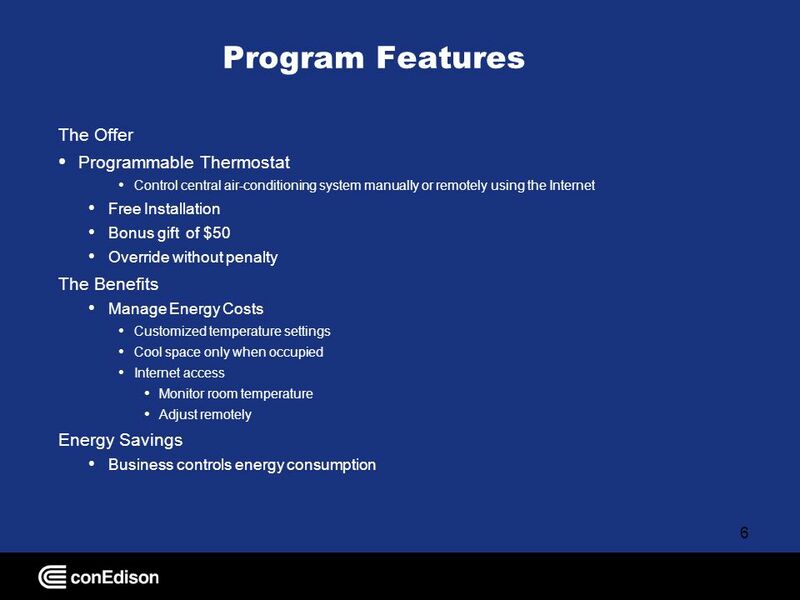 New MT Houses with Ground Source Heat Pumps Energy Savings and Costs June 2 nd, 2009 Regional Technical Forum 1. 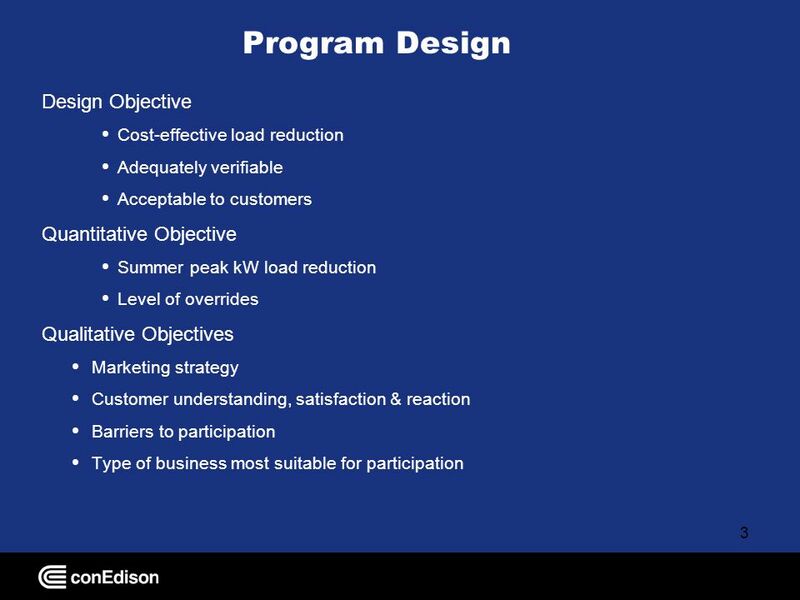 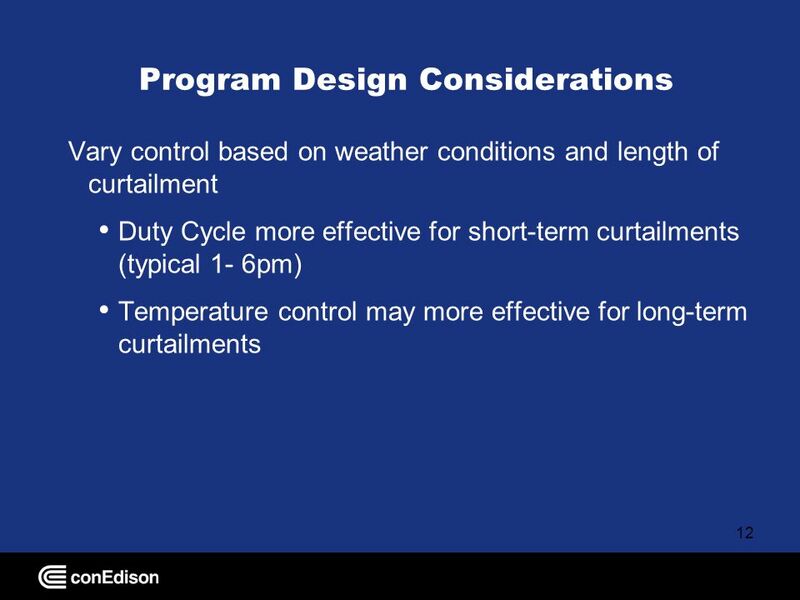 Load Impact Estimation for Demand Response Resources Nicole Hopper, Evaluation Manager July 14, 2009 National Town Meeting on Demand Response and Smart.